The New York State Library. A brooding labyrinth of towering bookcases, narrow aisles and spiralling staircases. For Doctor Stephen Swain and his daughter, Holly, it is the site of a nightmare. For one night, this historic building is to be the venue for a contest. A contest in which Swain is to compete – whether he likes it or not. The rules are simple. Seven contestants will enter. Only one will leave. With his daughter in his arms, Swain is plunged into a terrifying fight for survival. He can choose to run, to hide or to fight – but if he wants to live, he has to win. For in this contest, unless you leave as the victor, you do not leave at all. 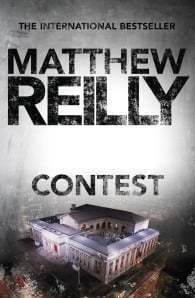 Contest is Matthew Reilly’s debut novel and was originally self-published where it caught the attention of an Australian publisher. 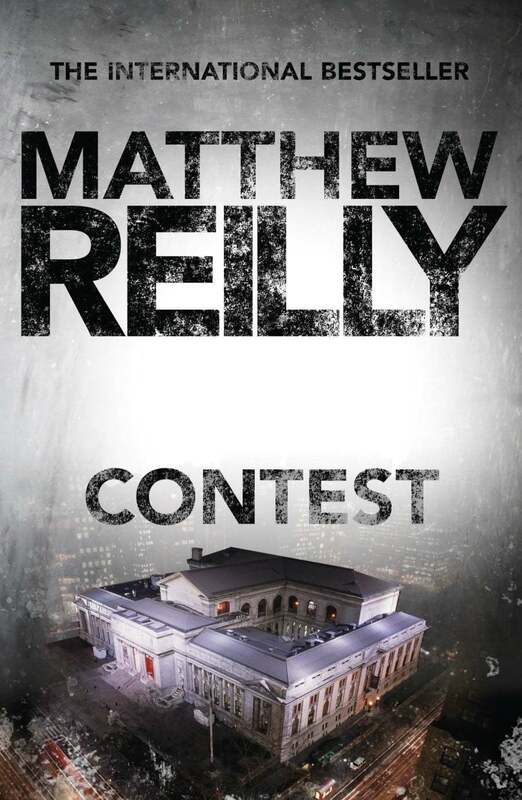 Matthew Reilly is the international bestselling of author of twelve novels: Contest, Ice Station, Temple, Area 7, Scarecrow, Hover Car Racer, Hell Island, Seven Ancient Wonders, The Six Sacred Stones, The Five Greatest Warriors, Scarecrow and the Army of Thieves and The Tournament. His thirteenth novel, The Great Zoo of China, is published for Christmas, 2014. Matthew’s books are published in over 20 languages and he has sold approximately 5 million books worldwide: 3 million in Australia; over a million in the US; and over a million in the UK. In 2011, Scarecrow and the Army of Thieves was the biggest selling fiction title released in Australia for that year. Three more of Matthew’s books have been the biggest-selling Australian fiction titles of their year of release: The Tournament (2013), Seven Ancient Wonders (2005), The Five Greatest Warriors (2009). Matthew has also written two novellas: in 2005, he wrote Hell Island for the Australian Government’s Books Alive project and in 2014 he released the epic fantasy-quest ebook Troll Mountain. Matthew has written several short stories, including Roger Ascham and the King’s Lost Girl, a special free prequel to The Tournament which is available online. Other short stories include Time Tours, The Mine and the hyper-adrenalised romp, Altitude Rush. Matthew was appointed to the Australian Government’s Public Lending Right and Educational Lending Right Committee in 2007. He served on that committee till the end of 2011. Matthew has done speeches at libraries across Australia and around the world, from Minlaton to Edinburgh, from Cape Town to Houston. He owns and drives a DeLorean DMC-12, the car made famous in the Back to the Future movies. He also has a life-sized Han Solo in carbonite hanging on the wall of his office!